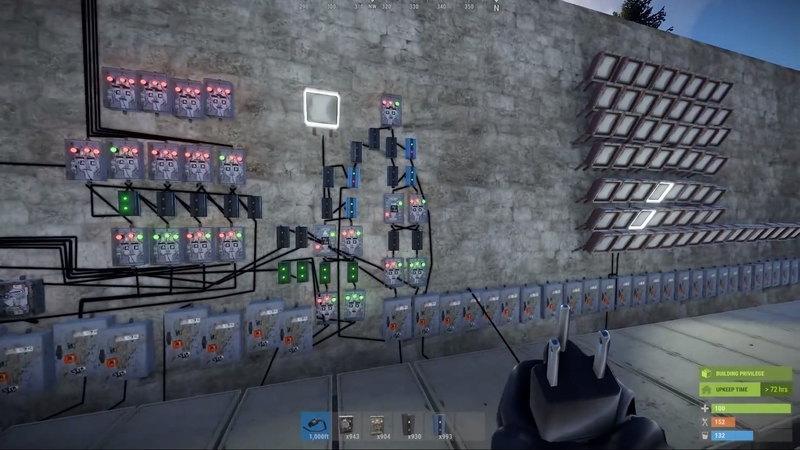 Electricity has been added to the game! I’ve been wanting to do this for a long time and finally decided to take the plunge this month and get it implemented. It’s not totally finished, but all of the heavy lifting has been done so we’ll be able to expand on it with ease in the coming months. The main use for this is going to be making godlike trap bases. Moving forward, I’m going to add a lot more components which will let people do things such as move inventory items around for automatic sorters or to collect loot from failed raid attempts. 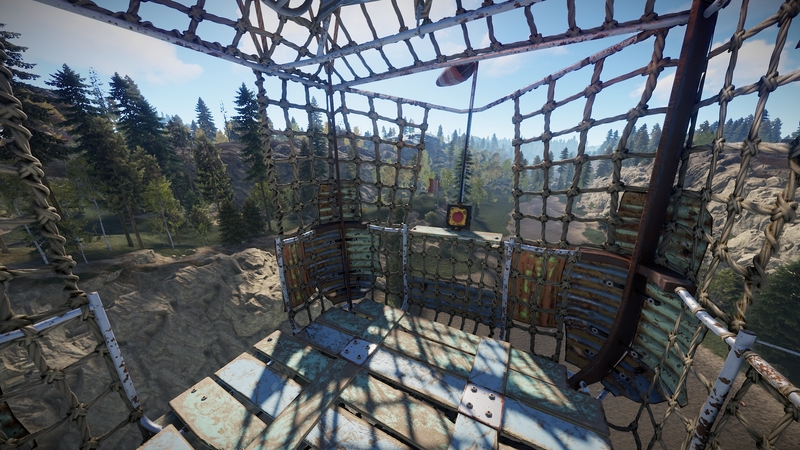 Factory type deployables are a must. The list goes on and on. 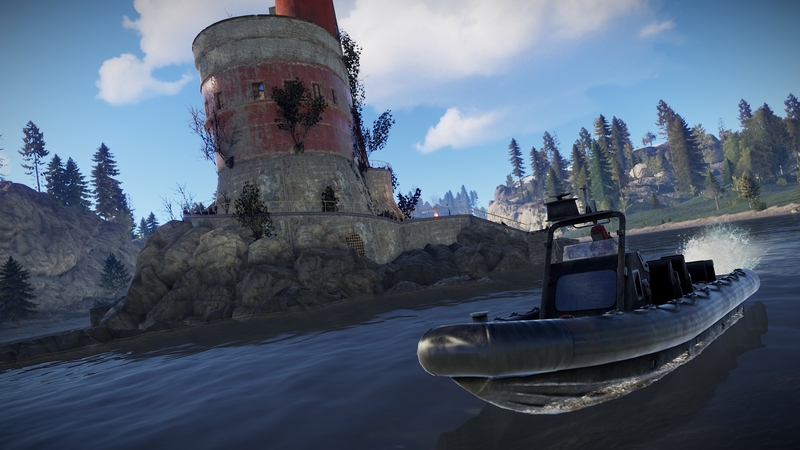 We’ve added the M39 Rifle to the game. This rifle is the military grade counterpart to the SAR. 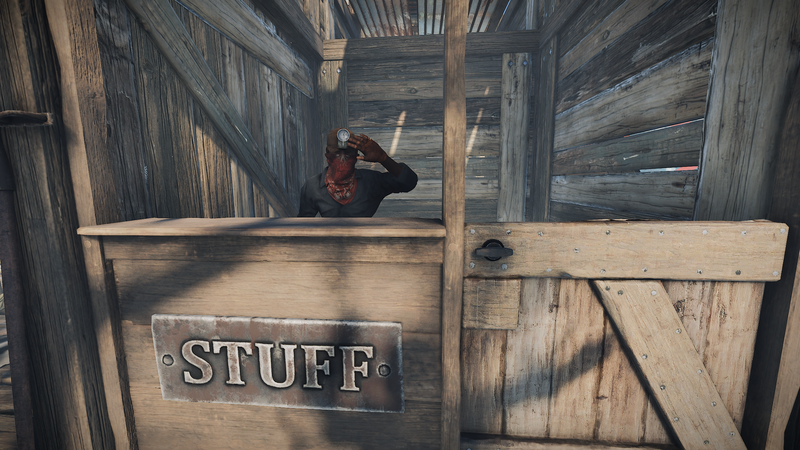 You’ll be able to find it in the advanced crates (military/bradley/locked/airdrop) rarely, and it is, of course, uncraftable. 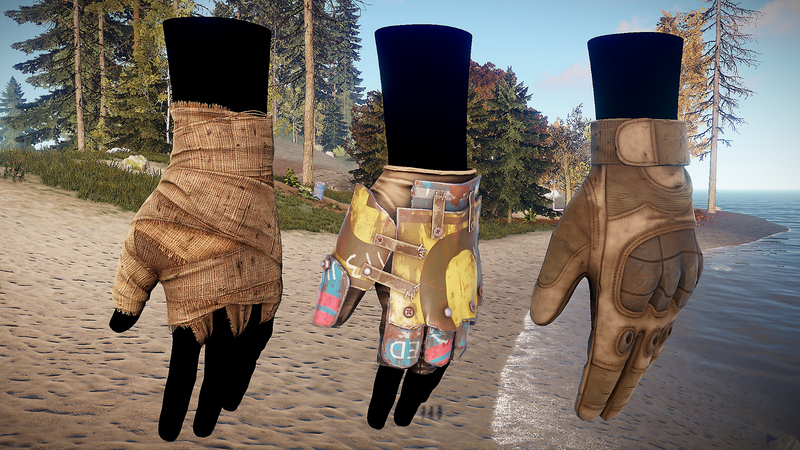 We’re going to be doing a revamp of the way the NPC vendors work in the coming month(s) so that the available items are no longer static, and we’ll throw the M39 into the rotating loot table. 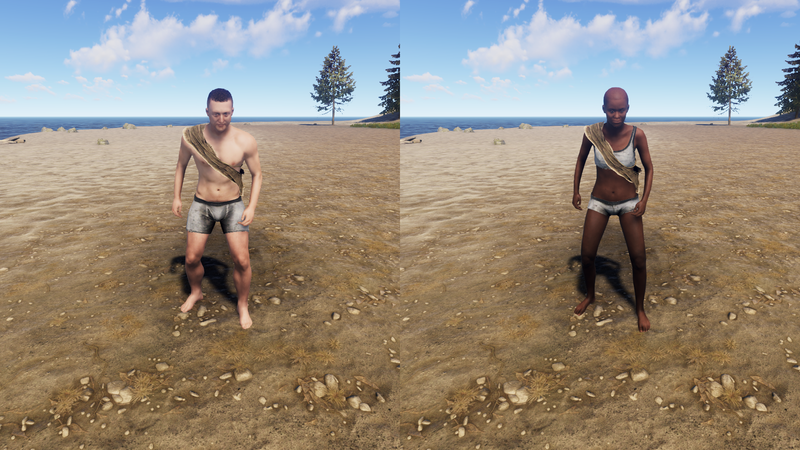 Our third censorship option has finally arrived: underwear. This should be particularly useful for streamers, although we do not expect it to automatically solve all demonetization issues. You can enable it in the options menu. Impact particle effects on the cargo ship have been updated to be simulated in local space, so they no longer look completely out of place and go crazy when the ship moves along. 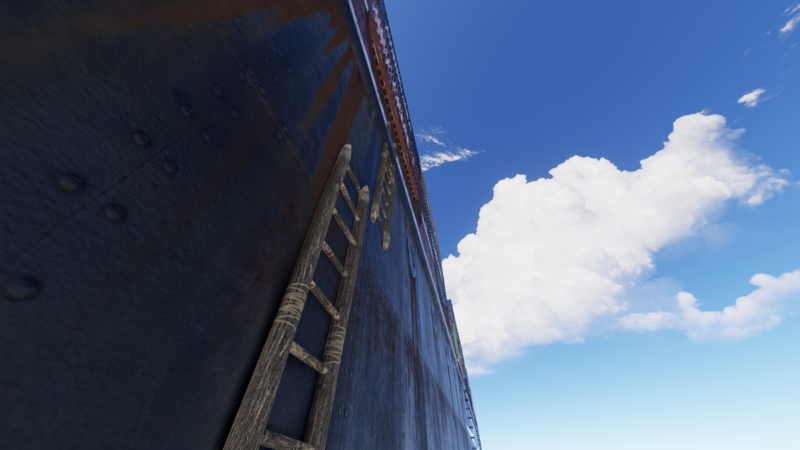 More importantly, you can now deploy ladders anywhere on the ship. This can, for example, be used to board it from different directions and surprise other players that are already on board. 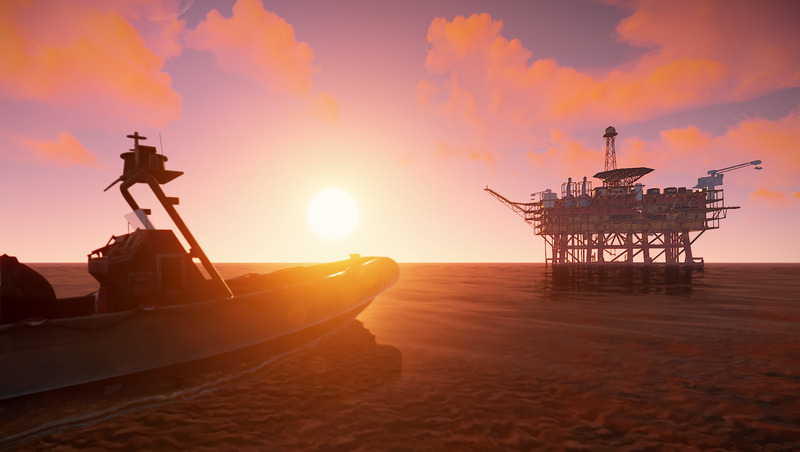 Now that we have a lot of functional water gameplay mechanics, an oil rig seems like a natural progression for monuments in the game. The rig should play like an event. I am currently working on this with Damian, and we are on track to release at the beginning of next year. More details will follow as we progress through it. 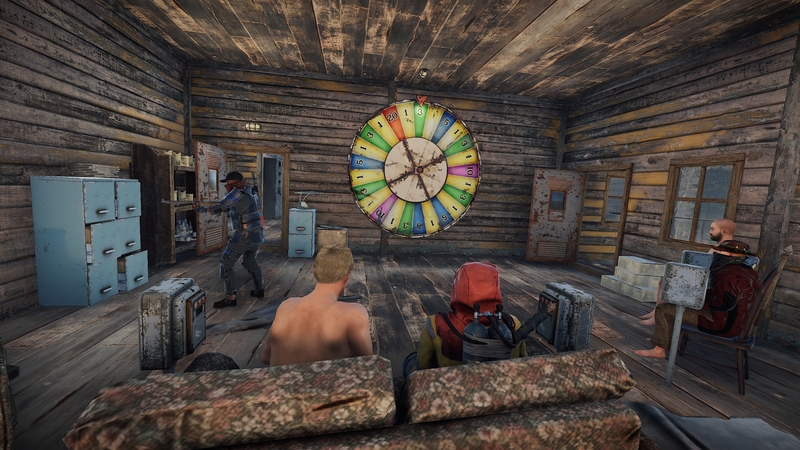 This month, the Junkpile Scientists and Military Tunnel Lab Scientists were moved onto the new AI system that has been running the Scientist brains at the Military Tunnel since August. 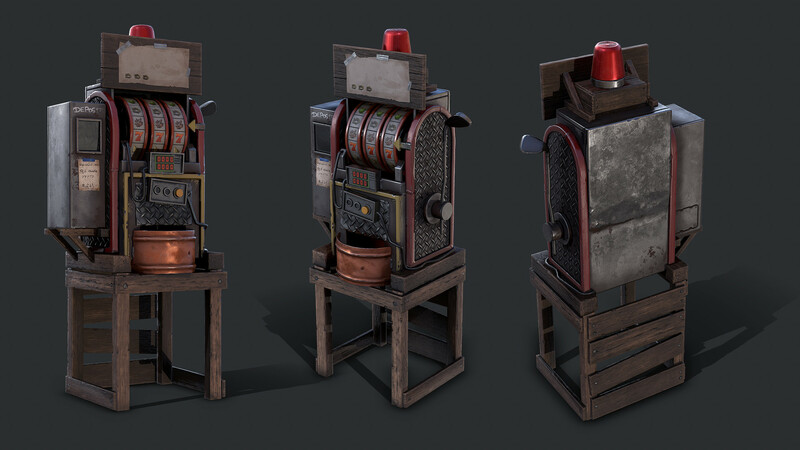 This means that the NPCs should now be much faster at reacting to you, using junkpiles for cover, and generally put up a much-improved challenge to pesty scavengers that disturb their important research. Military Tunnel Scientists, in general, got better at using cover tactically during gunfights and should throw grenades more often. They stay back and wait for players to push them most of the time, but can get frustrated enough that they push the player’s position as well. Scientists will now run slower sideways and backwards, much like a player would. 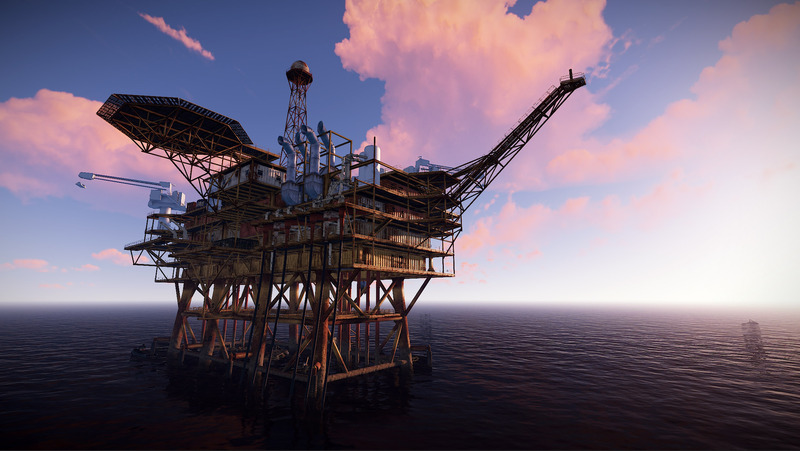 We are giving away 10 ViP kits, 5 for Barren and 5 for Trio Server. Don’t forget to stream and just overall enjoy Nov. 17th. 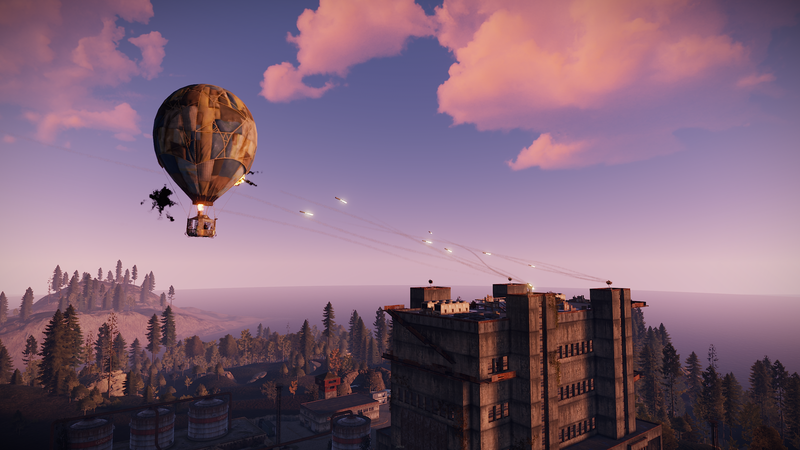 The Hot Air Balloon is now live! 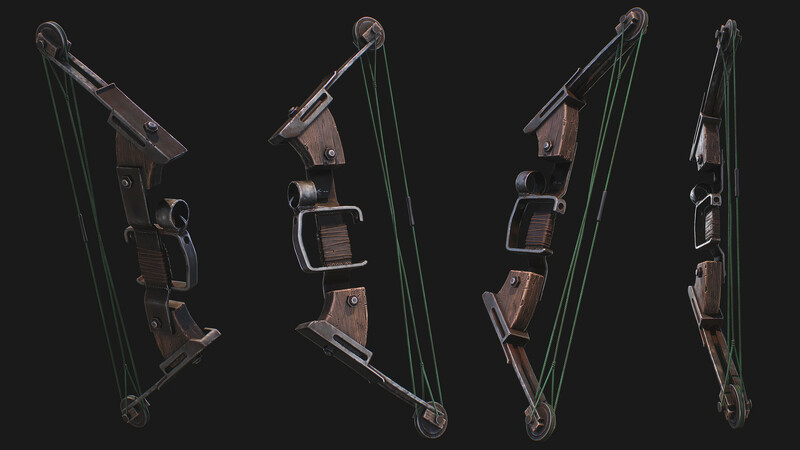 You’ll find them all around the map, mainly in fields or other areas with flat ground. Hop on and fill it with Low Grade Fuel, hit the ignition and it’s up, up and away… mostly. 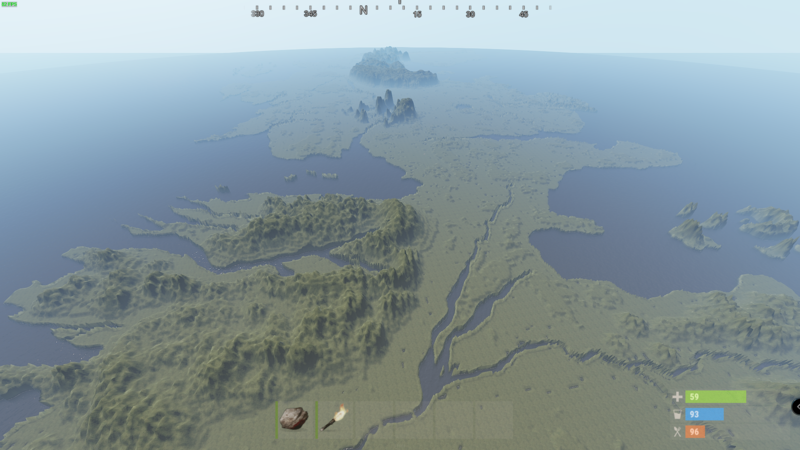 Soon people will be able to fly over your compound in a Hot Air Balloon and totally circumvent your defenses. But don’t worry about it, the SAM Site has you covered. 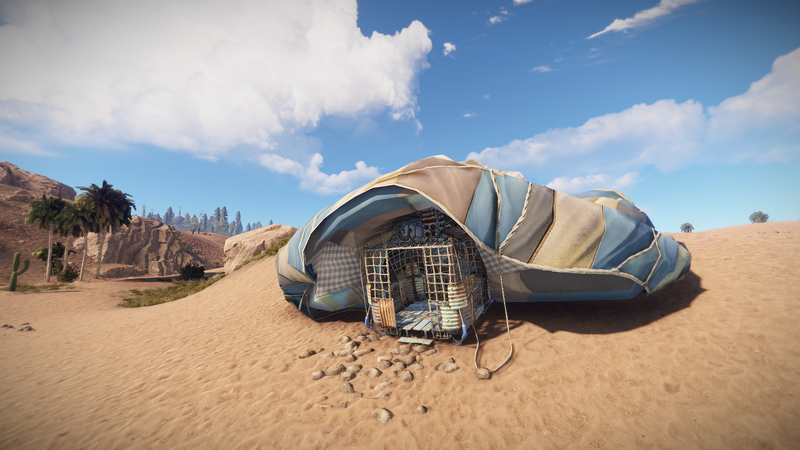 Available at the Scientist Outpost for 500 scrap, this deployable will keep the skies clear of any slow moving air vehicles. 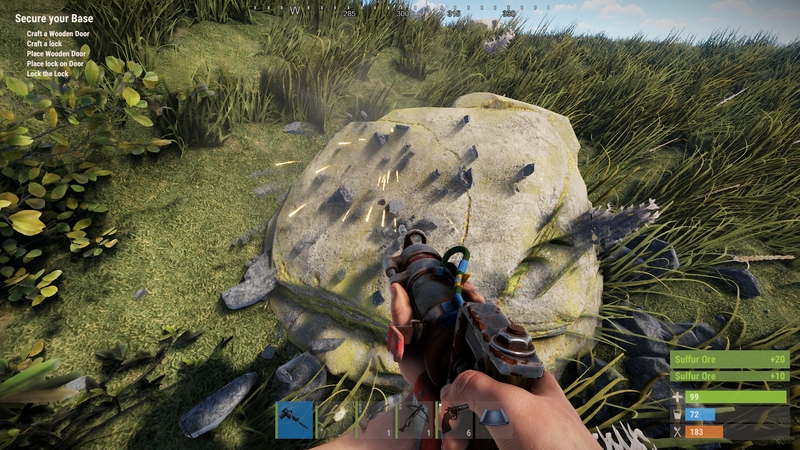 Simply deploy it, fill it with SAM Site Ammunition and forget about it. 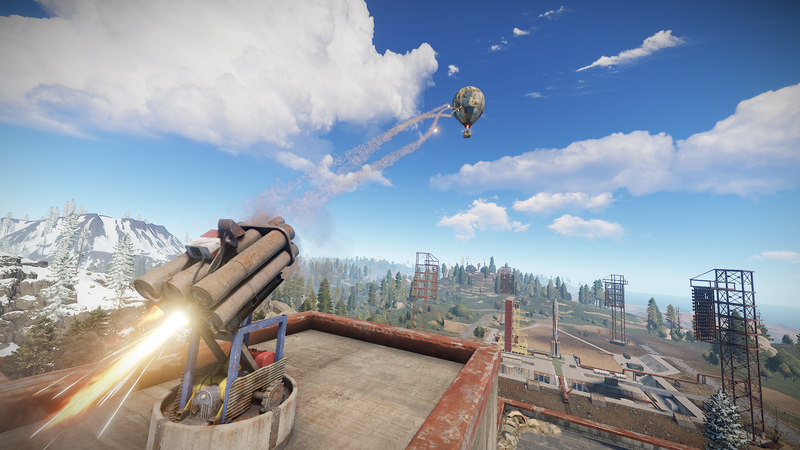 One thing to note is that the SAM site is indiscriminate towards air targets, so make sure you take the ammo out of it if you’re planning on a balloon trip yourself. “For the past few weeks, Vincent and I have been hard at work on a new monument. 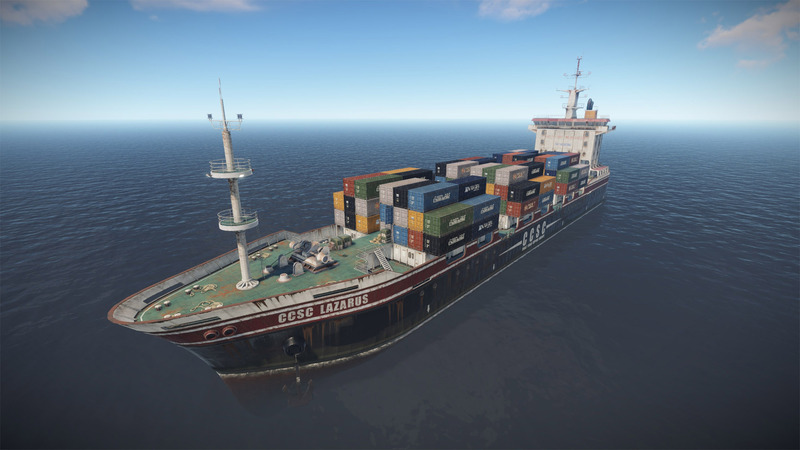 The Lazarus is a large shipping vessel owned by the Cobalt Cargo Shipping Company. 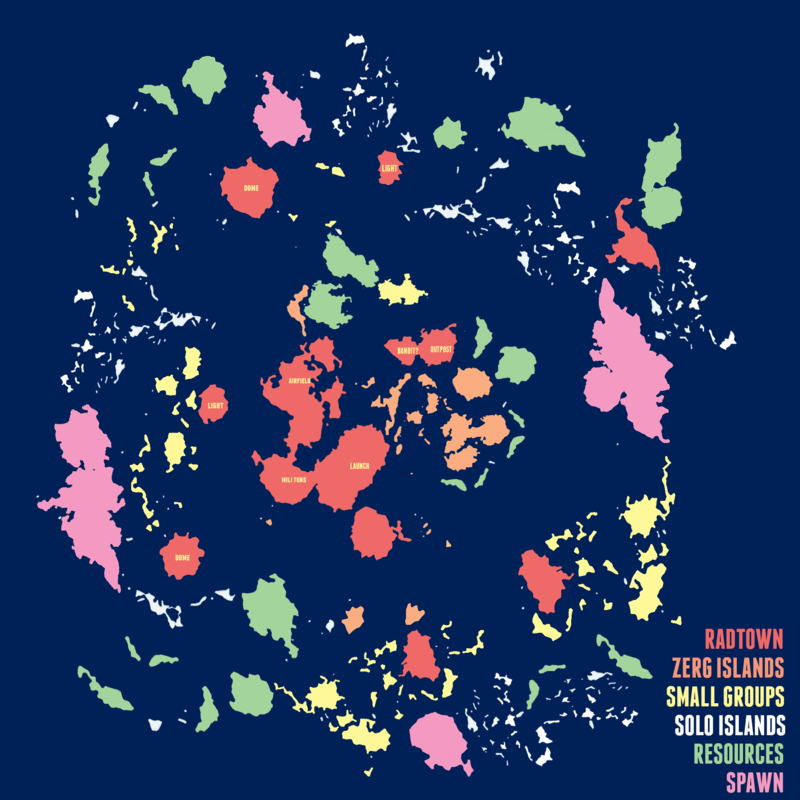 It is meant to circle the Rust island and deliver goods to the scientists working there. 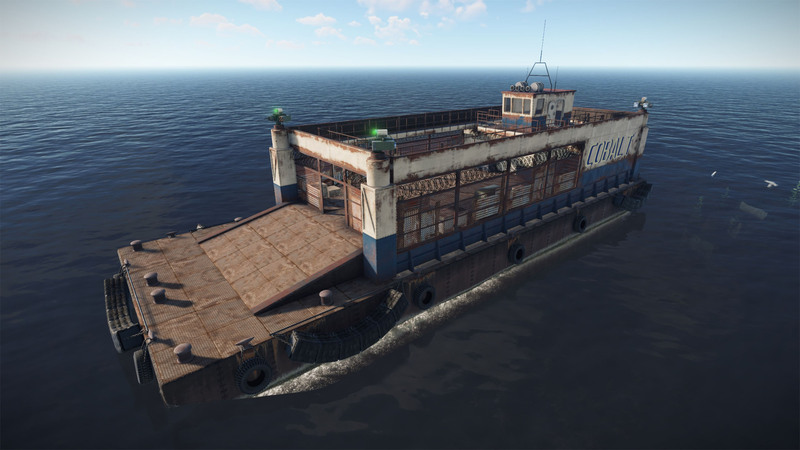 This large ship will contain valuable loot and will be protected by the scientists that players will have to defeat in order to access it. Bandit Town is finally here. 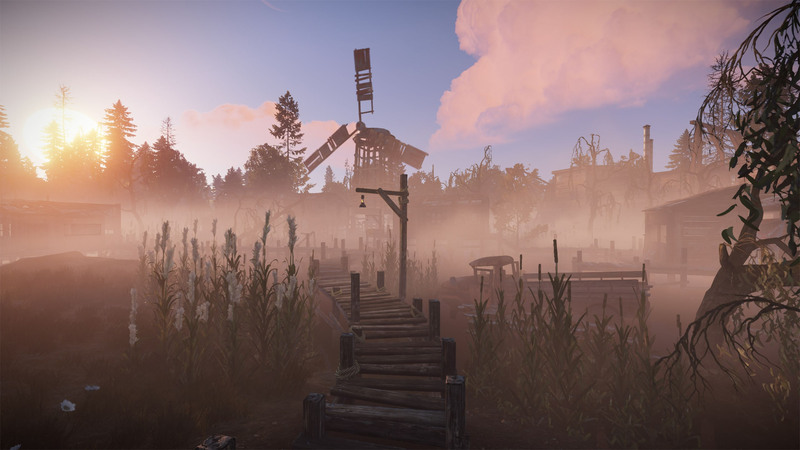 When exploring the island you will come across a foggy swamp, filled with wooden shacks and populated by bandits. The area contains several huts with merchant NPCs selling their wares, heavily armed bandit NPCs, and a dredge that contains a casino. 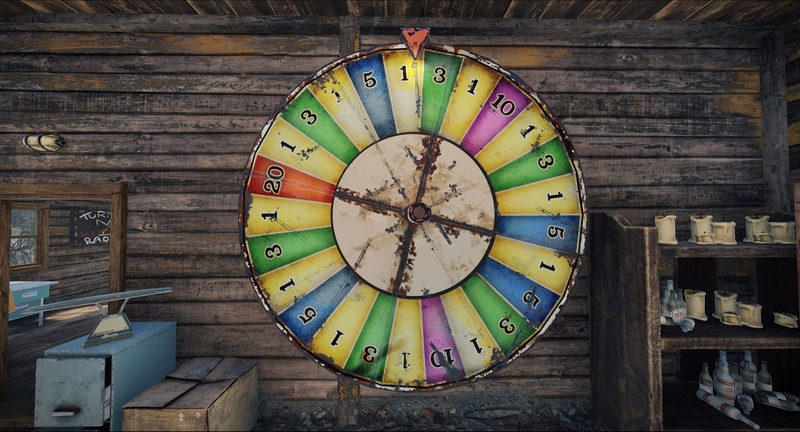 Inside of it you will find a Big Wheel mini-game that lets you gamble away your hard earned Scrap. 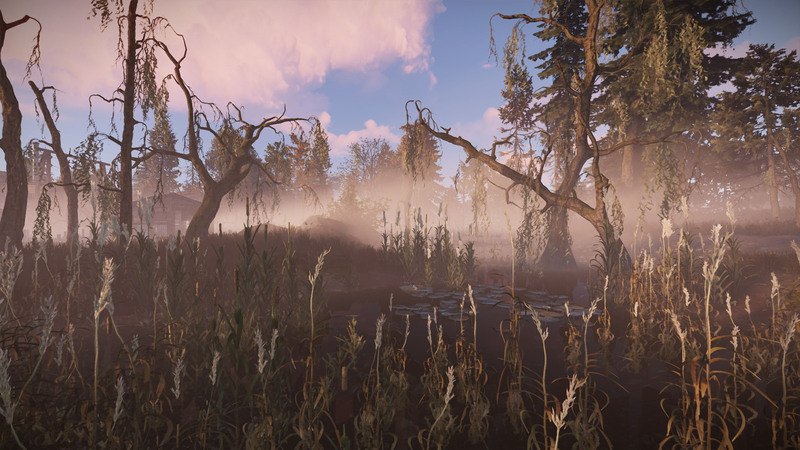 Visually, the area has gone through many stages, and we’ve been able to achieve a high level of polish. 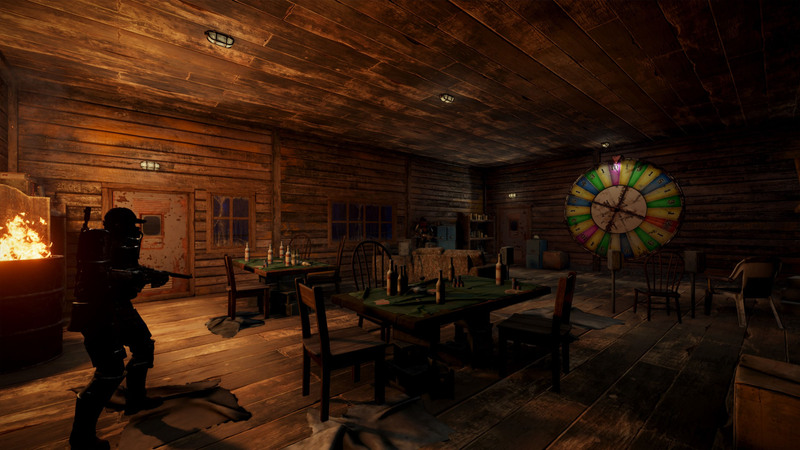 As you explore it you will find that it is filled with small props and details, which should add another level of immersion to it. 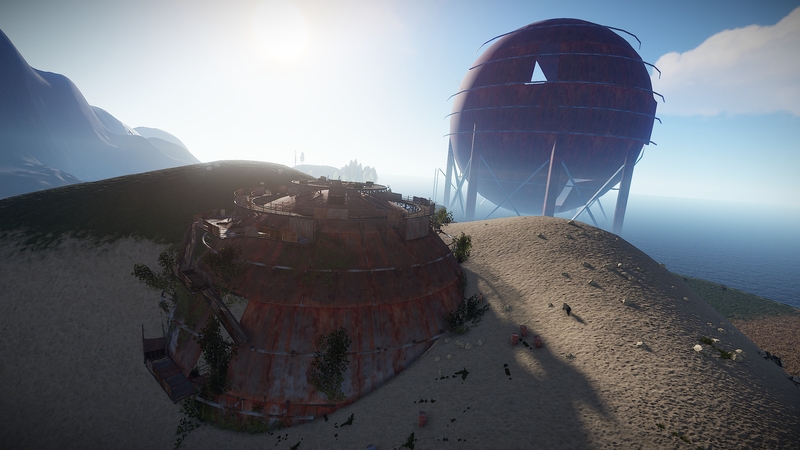 Below are some screenshots of the finished monument.